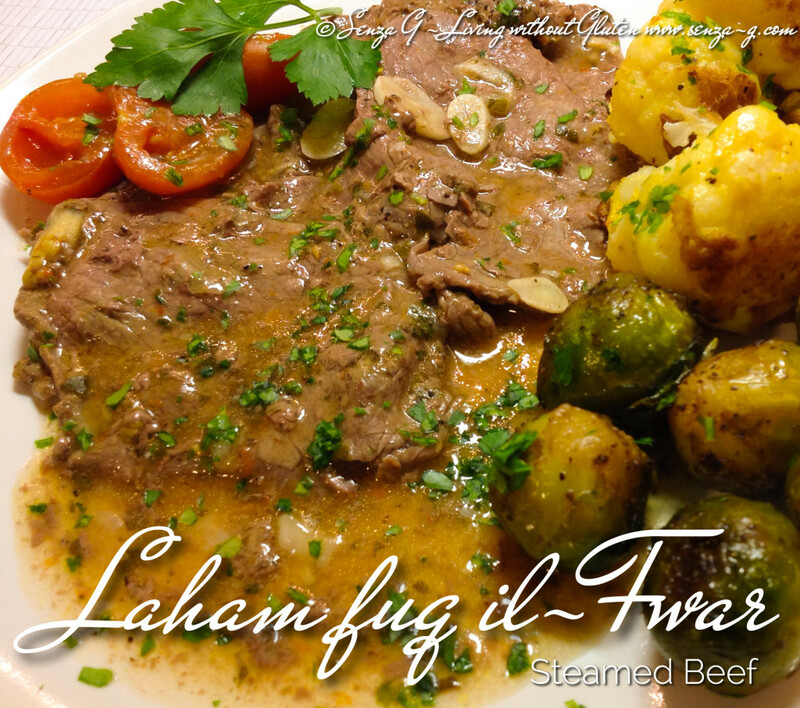 Laham fuq il-Fwar, that is, steamed beef, is a very popular and traditional Maltese recipe. Chicken Broth and this dish go hand in hand. I remember my mother preparing the chicken and veg for the broth, then take out this old chipped enamel plate, place the ingredients in the plate, place it over the pot where the broth would be nicely simmering, and cover this enamel plate with any lid that would fit. There is no frying or sauteing involved and needs little prep, but it is really delicious! If you do not own an enamel plate, use a round baking tin or shallow pan. 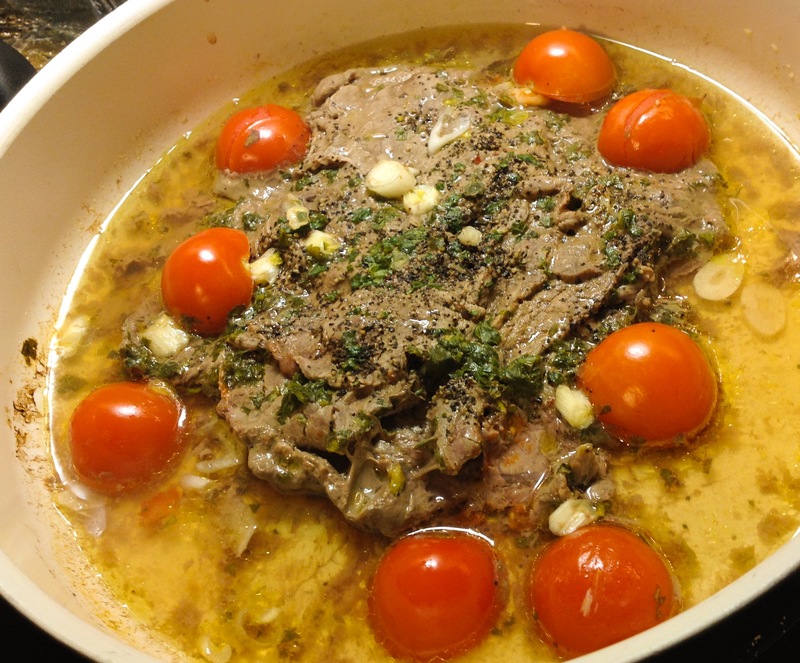 Place the sliced beef in the pan, place the sliced garlic under and around the beef slices. Mix the stock powder with a quarter cup of water and pour this over the meat. Place the tomatoes around the meat, season with salt and pepper, sprinkle with fresh parsley and drizzle olive oil over the top. Cover with a lid. If you are making chicken broth, then place the pan over this, if not just put water in the pot so it can still steam the beef. Leave it on a simmer and leave it to cook until meat is done. You can thicken the sauce with a little cornstarch and water if too thin. I prefer the sauce thin since I usually serve this with mashed garlicky potatoes which absorb all the lovely juices. Serve with freshly chopped parsley.